ST. GEORGE — During its biannual public auction on Oct. 24, the School and Institutional Trust Lands Administration generated over $4 million from 17 trust land parcels it sold, including two in Washington County and two in Iron County. 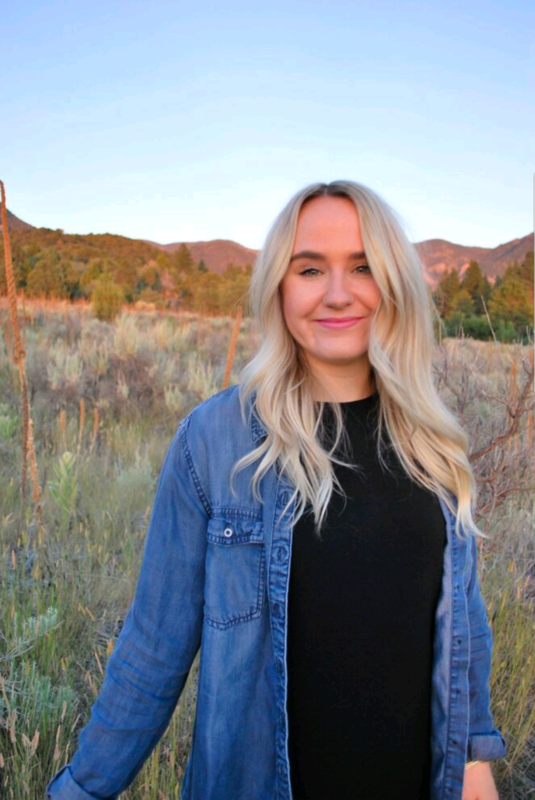 While three of the parcels in Southern Utah were sold without incident, a parcel in Washington County was the subject of some debate. The SITLA auction came shortly after the state treasurer announced in September that Utah schools will receive a record $82.66 million in 2019, with 10 percent going to K-12 schools and the rest distributed on a per-pupil basis. SITLA supervises Utah’s 3.4 million acres of land held in trust for 12 state institutions. All proceeds from the auction are deposited into the $2.5 billion permanent endowments for public schools, Miners Hospital at the University of Utah Medical Center, teaching colleges at state universities and reservoirs, according to a press release from SITLA. However, when a piece of trust land is sold, it isn’t completely out of SITLA’s hands – or benefit. When a trust land parcel is sold, it creates a “split estate,” said Deena Loyola, information officer for SITLA. That means the new landowner owns the surface estate, while the mineral estate is retained by the trust land beneficiary. “If a landowner discovers oil, the mineral estate holder, SITLA / beneficiary, would be entitled to all revenue from production of the commodity,” Loyola told St. George News. 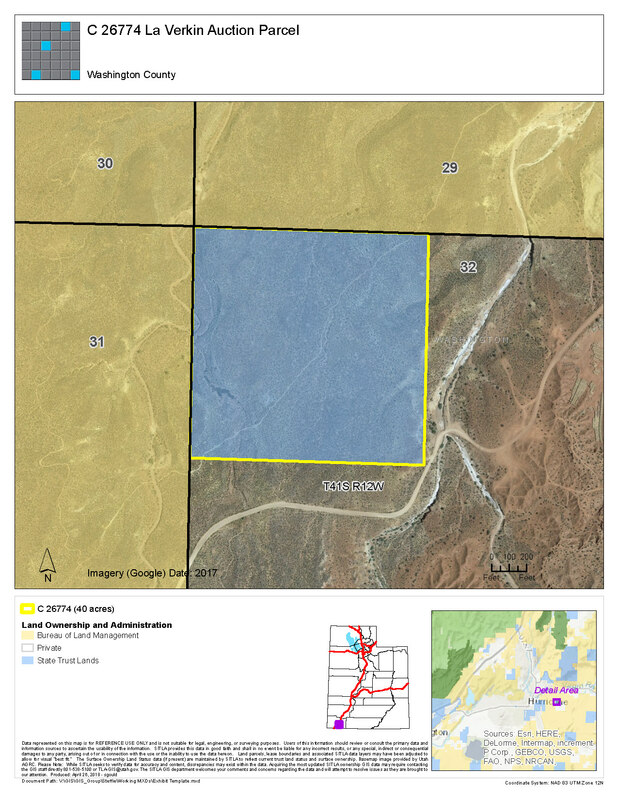 Listed below are the Southern Utah land parcels sold during the auction. One of the Washington County parcels sold during the auction was the LaVerkin Parcel, located in eastern Washington County, 2.4 miles east of LaVerkin and 2.6 miles east of Hurricane. It consists of approximately 40 acres and was sold at $250,000. The other Washington County parcel sold was the Rockville Corridor, located 1 mile west of Rockville. The Washington County Commission purchased the land for $1 million. The commission has said there are possible plans to use the land to build a park-and-ride to alleviate congestion into Springdale and Zion National Park. However, this sale didn’t happen without a little bit of discontent, which residents of Rockville expressed to Washington County Commissioners the day before the auction. Despite the residents’ concerns, the County Commission went ahead with the purchase on Oct. 24. At the meeting the day before, Iverson said there were no final plans for a park-and-ride on the land, adding that it could be many years before the county even decides to start work on the project. The only parcel that didn’t sell in Washington County is the Virgin Corridor, which is located 4 miles southeast of Virgin, and covers around 240 acres. Kyle Pasley, a representative of SITLA residing in St. George, said there’s no specific reason as to why the Virgin Corridor Parcel didn’t sell, but it could have to do with the cost. The minimum accepted price for the land was listed at $1.26 million. “We’re mandated by statute that we can’t get less than fair market value,” Pasley said. The Iron County parcels sold at the auction include Shurtz Canyon and Square Mountain. Shurtz Canyon, located 7 miles southeast of Cedar City, and below the rim of Cedar Mountain, sold for $150,000. It consists of approximately 80 acres. Square Mountain is 6 miles southeast of Cedar City, and is surrounded by privately-owned property and BLM property. It was sold for $370,000 and consists of approximately 616 acres. To learn more about the parcels sold during the Trust Lands Auction, you can visit the SITLA website. It is with pronounced sadness that I read of the transfer of Shurtz Canyon to the land pimps and developers. Sorry, but I wish the state could have owned it and created a nature park or preserve. It’s also what utah politicos would do with ALL public lands if they somehow wrangled them away from the feds. Market value for a large tract of unimproved desert. By the time you buy your home building lot, it’s been platted, zoned, graded, and has roads and utilities. All of that cost a lot of money to who ever sold it to you. All that being said, I just hate seeing this entire area sold to the highest bidder. And I’m just sickened that the citizens who oppose everything our local politicians do just keep re-electing the same people by huge margins. There’s a complete disconnect there.